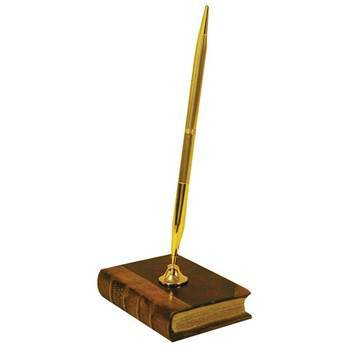 210 x 65 x 90mm 8.2 x 2.5 x 3.5ins Always have a pen to hand with this smart gilt pen and holder. The holder, on its book base is a great desk accessory and is perfect as a present. CROSS ballpoint pen refill code 8513 fits and is available readily online or from most stationery shops.